Coverage of the mystery behind a Malaysian commercial jet’s disappearance likely will ebb just a bit after Monday morning’s official government announcement that “Flight 370 ended in the southern Indian Ocean,” according to new data. “I urge the media to respect their privacy and allow them the space they need at this very difficult time,” Malaysian prime minister Najib Razak said of those grieving the loss of the plane’s 239 passengers and crew. He’s obviously naive in that respect. But let’s rewind to Sunday morning, when the supposedly objective media analysis shows on CNN and Fox News Channel again went head to head in the 10 a.m. hour. Topic A, of course, was cable news coverage of Flight 370. And no one would disagree with the statement that CNN has been on this story virtually non-stop while its principal rivals, FNC and MSNBC, have devoted far less air time to it. 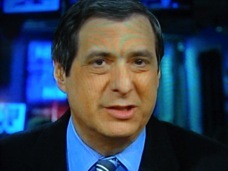 Howard Kurtz, who anchored CNN’s Reliable Sources for 15 years, now presides over FNC’s Media Buzz . On the topic of Flight 370, Kurtz did what his old bosses at CNN never would have allowed. Namely, he ripped and twitted CNN’s coverage throughout Media Buzz. Kurtz’s Reliable Sources successor, former New York Times media reporter Brian Stelter, in contrast gave his new employer’s coverage a virtual free pass. He instead opened his program by ridiculing Fox News Channel -- and Bill O’Reilly in particular -- for being critical of CNN. In other words, both hosts prostituted themselves in the service of the network that signs their paychecks. There was nothing really objective about either program’s approach. Kurtz and Stelter merely escalated the warfare between CNN and FNC. Nothing more, nothing less from two guys who dissect media coverage for a living but bowed to their corporate masters Sunday. Let’s start with Kurtz, whose opening panel of three media experts just happened to include two Fox News contributors. He first teased Media Buzz with a clip of CNN anchor Don Lemon asking some guests whether the “supernatural power of God” could have played a role in the disappearance of Flight 370. Kurtz then spoke of “unproven theories and crazy talk” going hand in hand with “endless hours of air time and the chance for ratings.” Six more clips were shown as evidence -- three of them from CNN and one from its sister network, HLN, which invited a psychic to weight in on Flight 370. MSNBC and FNC each got a token clip. Kurtz soon happily showed a CNN clip that included the opinions of a personality from Discovery Channel’s Naked and Afraid series. He wasn’t finished, of course. Before a commercial break, Kurtz displayed and mocked a freeze-frame of a CNN tagline that read “Solving Plane Mystery Could Take Years.” It appeared under a “Breaking News” banner. After schmoozing at length with another Fox News personality -- Greg Gutfeld promoting his new book Not Cool: The Hipster Elite and Their War On You -- Kurtz took another shot at CNN’s Lemon for publicizing a “Black Hole Theory” regarding the disappearance of Flight 370. “Don Lemon is a smart guy,” he added. “I don’t know why he’s saying things about black holes on the air. I think our collective credibility is disappearing into a black hole.” Kurtz should know. His has all but vanished. Kurtz mildly called Fox News to task for supposedly ramping up its Flight 370 coverage in the face of CNN’s recent ratings gains with a 24/7 approach. But CNN took 90 percent of the fire from Media Buzz. That’s not how it would have gone down on his old Reliable Sources program. But Kurtz surely will get a “good boy” head pat for how he handled matters Sunday. Alas, Stelter was no better -- and arguably even worse. “I’ve invited some of the best media experts I know to examine the continuing coverage of Malaysia Air Flight 370,” he told viewers at the outset. In fact, he invited just one media critic, who for the most part slavishly praised CNN. More on that later. 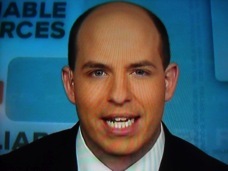 Stelter noted that “CNN has been covering the missing Malaysian airplane pretty much around the clock. That’s no news to most of you watching at home.” In return, the network has gotten “lots of praise, lots of viewers, but also thumbs down from some media watchers,” he added. Thumbs down from a lot of media watchers, actually. But Stelter immediately trained his sights on Fox News Channel in general and Bill O’Reilly in particular. A corroborating clip showed O’Reilly joking that there’s no truth to a rumor that CNN has hired Courtney Love as a commentator after she claimed to know the whereabouts of Flight 370. Back to you, Brian, who said he hoped O’Reilly hadn’t bumped into FNC colleagues Sean Hannity or Megyn Kelly, whose shows supposedly were throwing out the same kinds of theories he had decried. As evidence, Stelter cued a clip of retired general Thomas McInerney telling Hannity that Flight 370 may have been hijacked and hidden in Pakistan. Or perhaps Iran, McInerney said in a later interview on FNC. Stelter should have made an effort to interview latter day CNN boss Jeff Zucker, the former NBC chieftain whose game plan clearly is to “own” any big breaking story by covering it non-stop. CNN previously has gone “all in” on the Carnival Cruise disaster and the Boston Marathon bombings. It’s a programming strategy, pure and simple. And if Zucker didn’t want to talk about it, Stelter should have told viewers. Instead his media expert of choice was Erik Wempler of The Washington Post, who said he so far had watched 60 to 70 hours of CNN’s Flight 370 coverage. Not surprisingly, he very much approves. Furthermore, “if Jeff Zucker doesn’t go all out on this story, he should be fired,” Wempler said. O’Reilly’s naysaying perhaps is because he’d gotten “nervous” about his show being beaten a few times by CNN in the key 25-to-54-year-old demographic, Wemple said. Stelter tepidly threw in a brief observation on how CNN “of course has had some ‘off’ moments in the coverage.” But the clip he chose was Lemon’s relatively tame “power of God” query rather than the psychic or “Naked and Afraid” visuals used on Kurtz’s Media Buzz. Stelter of course couldn’t let that pass. He responded by carrying a little more water for his bosses. “You don’t think there’s a way to bring up God, though, on a Sunday evening like that?” he asked. “No. I would be against it,” said Wemple, who otherwise gushed in approval of CNN. As Stelter surely knew he would. Reliable Sources otherwise didn’t invite any other media analysts to debate the overall caliber of CNN’s coverage. Instead the host used Fox News Channel as a punching bag. Kurtz did much the same by slamming his old network. The takeaway: both Media Buzz and Reliable Sources are toothless “watchdogs” when push comes to shove. After Sunday’s displays, Kurtz and Stelter have no business taking other media outlets to task for any perceived shortcomings or ethical lapses. Why would anyone take them seriously? They’ve squandered any trust and instead behaved like the toadies they’ve become.